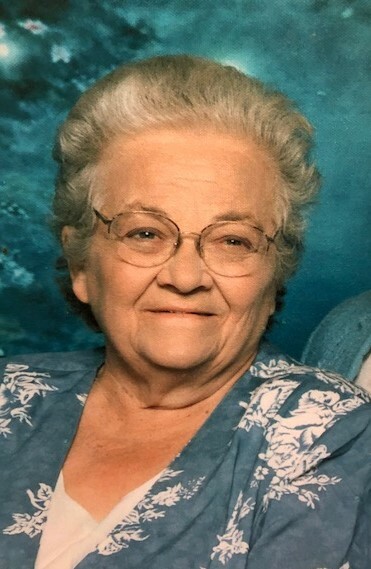 Jean (Fischer) Greeson, 89, of Champaign, IL formerly of Greenup passed away November 14, 2018 at 11:30 A.M. at her home with her husband Donald, daughter Nancy, and sister Patricia by her side. Jean was born September 28, 1929 at home in Mt. Carmel, IL to Ira and Elsie Fischer. After graduating form Mt. Carmel High School, she worked at Index Notion Store, in Mt. Carmel, followed by Risley’s Dry Cleaners in Mt. Carmel, and finally General Tell Telephone Company in Olney, IL. During her time in Olney, Jean sang alto with a quartet on an Olney radio station and for funerals occasionally. Jean was a member of the church of Christ her whole life. Jean and Donald married in 1962. They were blessed with three daughters, Nancy, and twins Brenda and Linda. Jean enjoyed farm life, raising chickens, gardening, and she loved being a mother. She was a wonderful, encouraging person always willing to help. Jean is survived by her husband Donald of Champaign, IL, sister Patricia of Champaign, IL, daughter Nancy (Dean) Oliver of Champaign, IL, Linda (Keenin) Robinson of Bloomington, IN, grandsons Tyler Oliver, Austin and Levi Robinson, and granddaughter Olivia Robinson. Jean was preceded in death by her parents, sister Voncile (Howard) Hering, Jeanette (Marion) Odom, Freda (Leo) Marks, brother Gerald (Donna) Fischer, daughter Brenda Greeson, and infant son Donald Joseph Jr.
Funeral services will be at 11:00 A.M. Saturday, November 17, 2018 at the Barkley Funeral Chapel in Greenup, IL. Visitation will be held from 10:00 to service time on Saturday. Burial will be in the Greenup Cemetery. Memorials may be made to the Parkinson’s Research, Michael J. Fox Foundation or to a Church of Christ of your choice. Online condolences can be expressed at www.barkleyfuneralchapels.com.